At Chalet we are proud to offer our guests a wide range of advanced healthcare services. Our clinical services include the latest ancillary and diagnostic equipment, eliminating the inconvenience of traveling to and from physicians’ offices and hospitals for tests and treatment. Our multi-system approach to chronic wound care takes advantage of the most advanced therapies and treatments, including: e-stim, ultrasound, ultraviolet therapy, debridement and negative pressure therapies. A certified wound care specialist supervises every step in our treatment of chronic wounds. 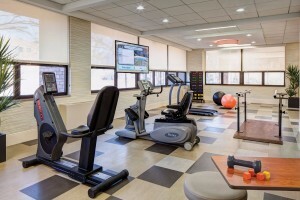 Our unique team approach to pulmonary rehabilitation is individually designed and tailored to optimize each guest’s physical abilities and independence, while simultaneously slowing down the progression and the debilitating symptoms of pulmonary disorders. Guests with complex cardiac condition are supported with 24/7 heart monitoring, a board-certified cardiologist and an ACLS-certified nurse.Our goal is to limit the effects of cardiac illness and improve overall health and cardiovascular fitness. A range of services support residents who live with the challenges of dementia and Alzheimer’s disease. A complex condition, our specially-trained memory care team works to minimize its effects on the medical, physical and behavioral health of our residents. Our goal is to increase the level of function and engagement in a calm and safe environment. The on-site hemodialysis center at Bella Terra Morton Grove offers experienced, individualized care for patients requiring treatment for kidney disease. This spa-like, state-of-the-art center features advanced hemodialysis machines, comfortable reclining chairs and is supported by a team of registered nurses and technicians that specialize in maximizing the progress of each patient’s treatment.